I've got a TON of photos for you this time round! 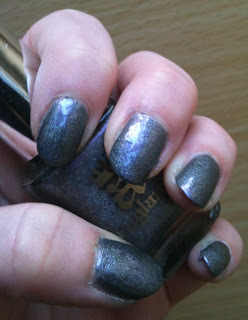 I just couldn't help myself as this polish is so complex! 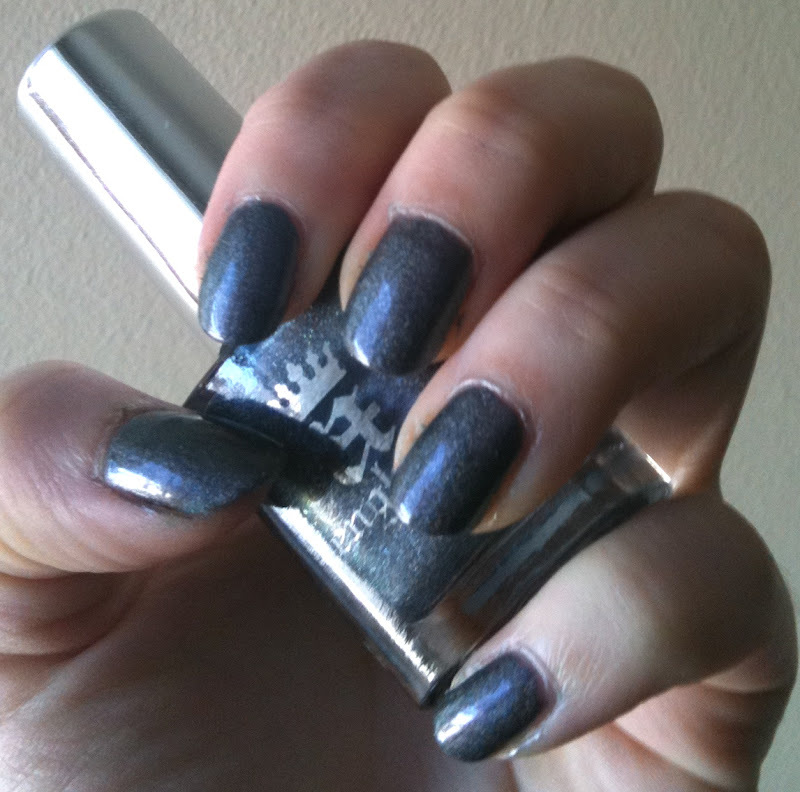 Ascalon, from the a-England The Legend collection is named after Saint George's sword. This polish I was worried would be too charcoal-like for me but I WAS WRONG! The only way I can describe the colour is multi-faceted. 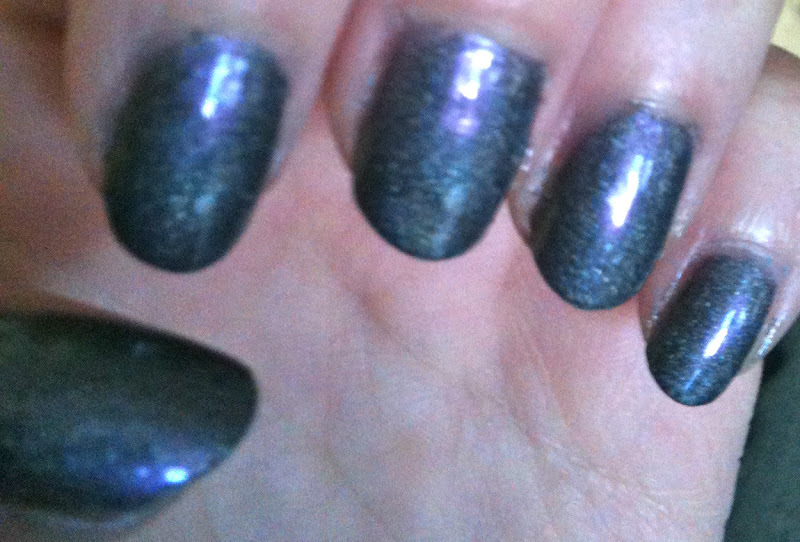 It's a lavender-gunmetal duochrome with holographic shimmer and every once in a while a slight green tinge. 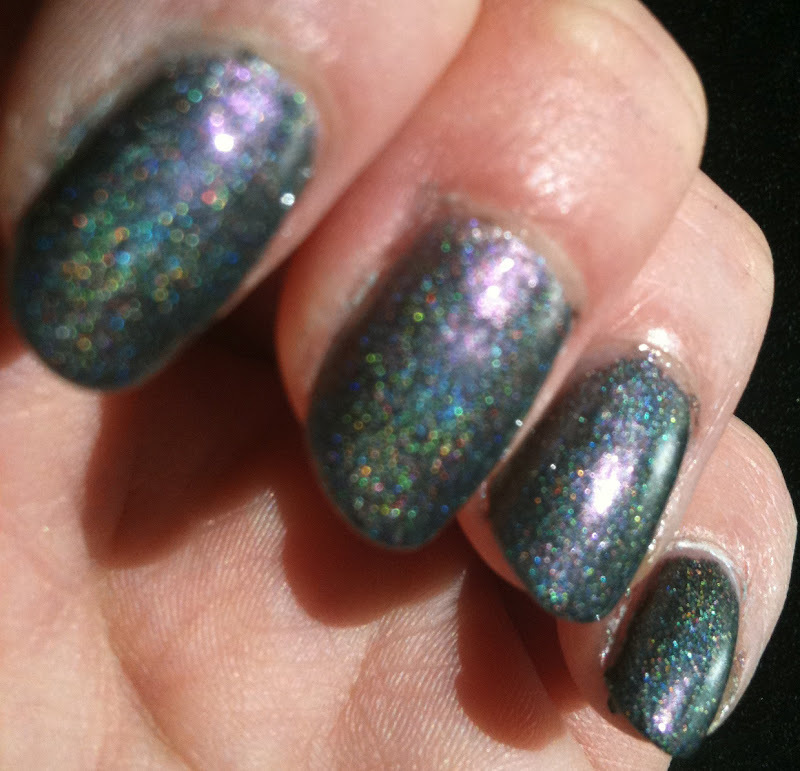 The holographic shimmer is strong in this one, showing off little rainbows in any direct light. 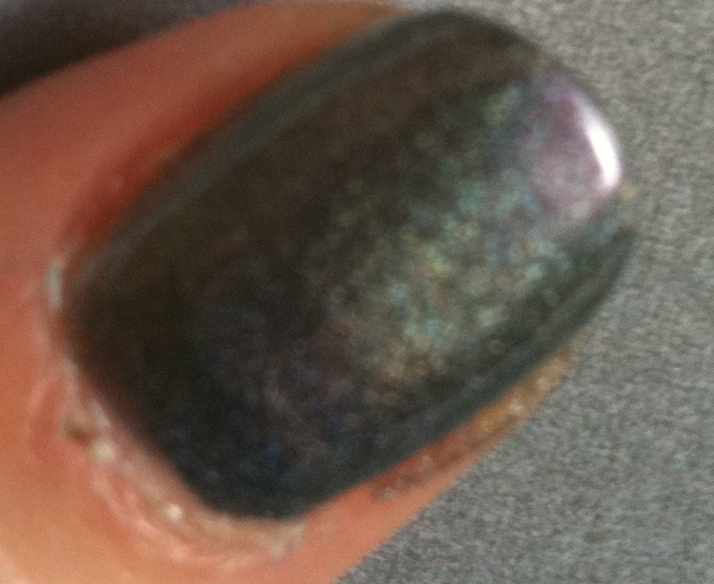 The duochrome isn't strong but it is there and the polish colour really changes depending on what lighting you're in. I'd have to say this is one of the more unique polishes I own as it just has so much going on! Here's some more pictures so you can get a better idea of what I mean. The wear on this one is good, just like I had with St. George, however I did find the formula on this one harder to work with. Manageable but thick I'd say. I needed 2-3 coats (depending on the nail) and the first coat was pretty awful looking so that's something to keep in mind. 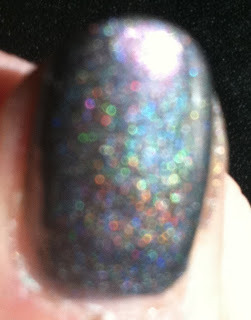 The holographic particle in this are very fine so it gives a very pretty refined effect which I like. Plus the colour is very chic and work appropriate I think yet still really fun! 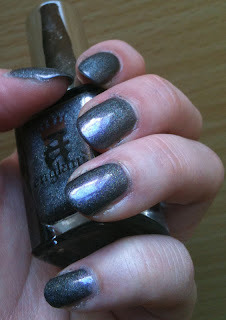 a-England ships internationally (for FREE!) and costs 9 pounds or around $12 USD. Overall, despite the issues with application I adore the look of this polish. The colour is phenomenal. In a way it reminds me of Nubar's Gem (which is my all time favourite polish). I think they'd go quite nicely together. And who wouldn't want holographic goodness AND duochrome together? Sprite Rating: 8.5/10- I so wanted to give this a higher score but refrained as the application was temperamental. Would I buy it again? Yes, even with the thickness of the polish I would as this is so unique and the wear is good. 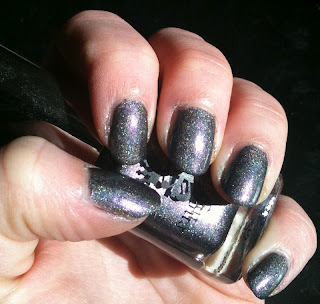 You can check out Saint George also from The Legend collection or see bottle pics here!